When you’re planning to build a new home, it’s often tricky deciding on stylistic or architectural specifics. The best thing you can do is to check out plenty of examples to glean an ample collection of ideas and inspiration. To get you started, we’ve grabbed 5 gorgeous homes as well as their floor plans to give you an idea of their layout and construction. These dwellings are modern and impressive, and sure to get you feeling full of creativity and motivation. Want to learn more? Check out the properties below, and start planning your new home today! 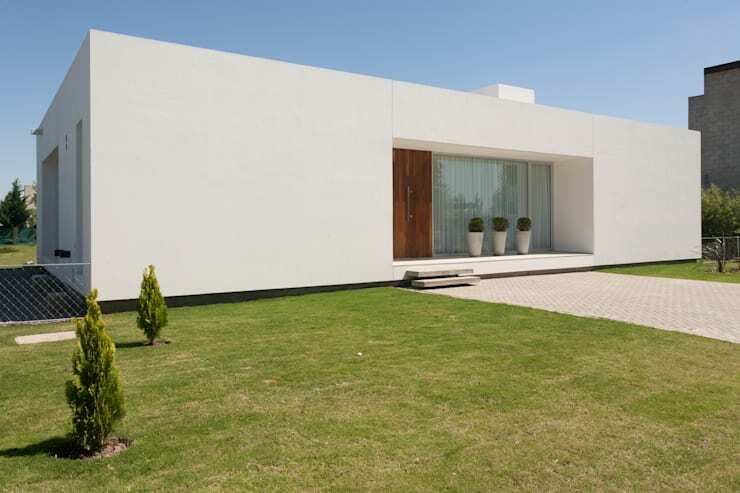 Modular and cubist, this contemporary home is a two-storey lavish expression of elegance. 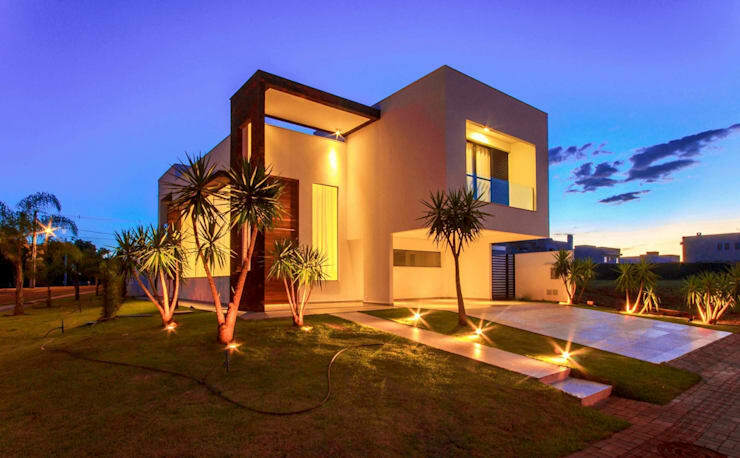 Majestic and dramatic, this dwelling is impressively eye-catching. 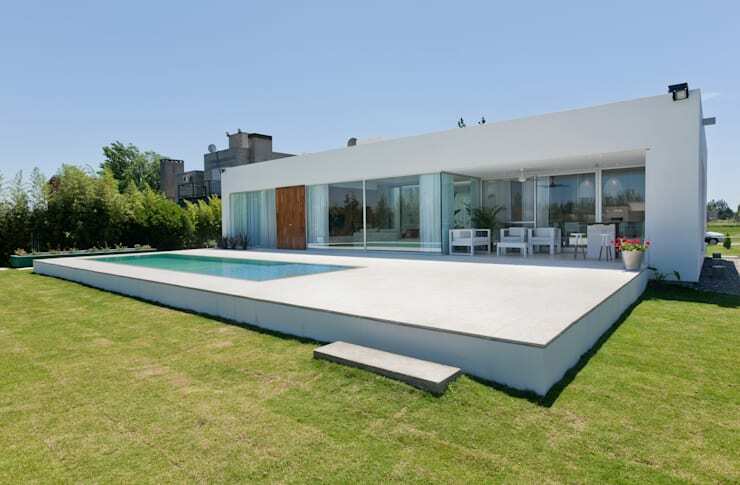 Certainly one of the most striking houses on the block, this expansive property is timeless and attention-grabbing. 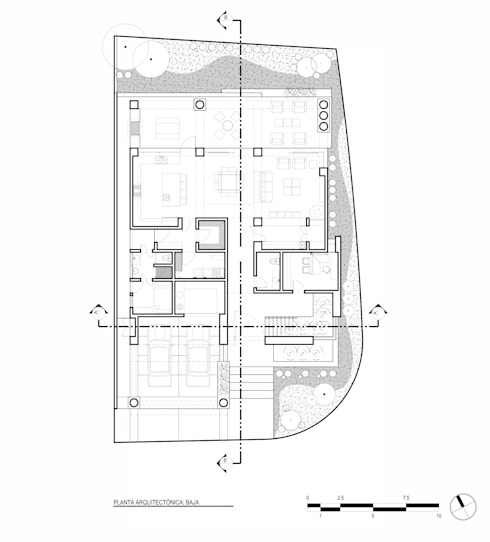 Inside the home, the double-height space is impressive and well appointed. The floor-to-ceiling curtains add drama and pizzazz, while enhancing the spacious aura of the interior. 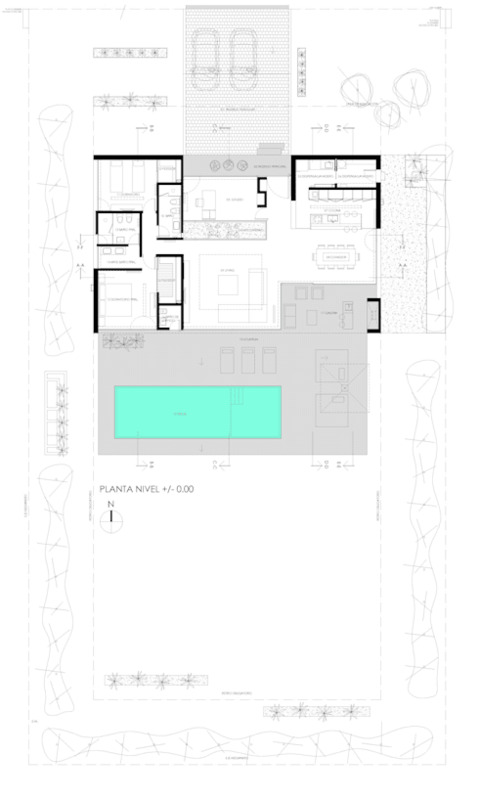 The next house we are looking at has been designed for a family in Hermosillo, Sonora, Mexico. 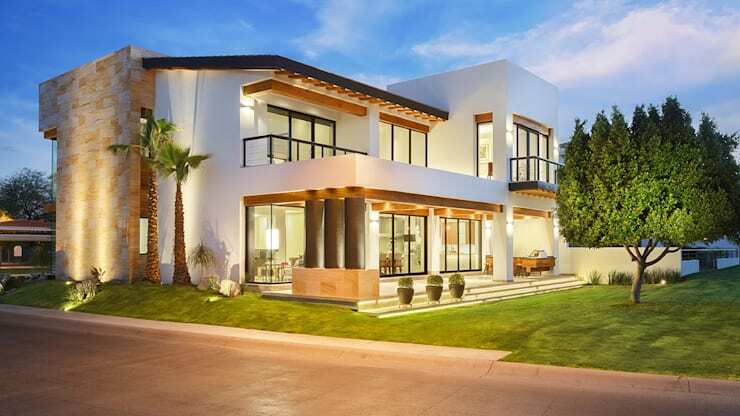 Contemporary, with a nod to tradition and heritage, this dwelling boasts a range of different materials and shades, evoking the essence of Mexican architecture and culture. A perfect fusion of light, textures, tones and good taste, this dwelling is contemporary and alluring. As we head around to the rear of the home, we can see how the architects have utilised an ample and abundant range of glazing to bring in a huge volume of natural light. Sliding glass doors have been installed from floor to ceiling, with the upper floors boasting large terraces and patios. 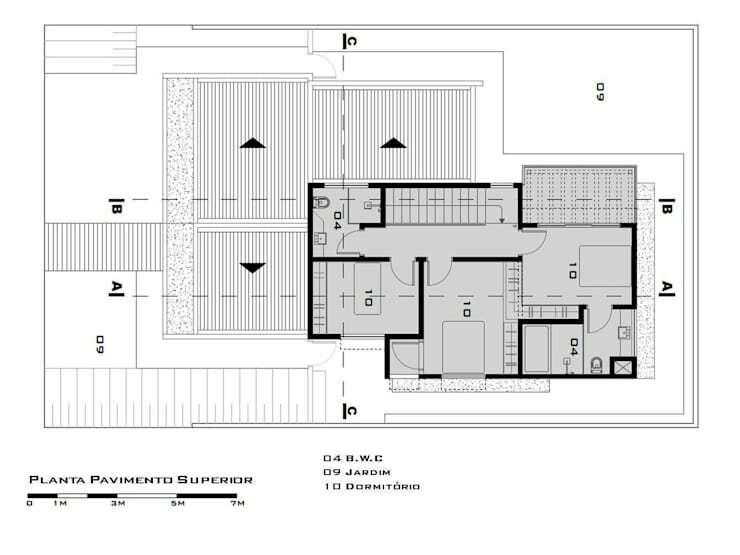 As we check out the downstairs floor plan, we are able to see how the property has been designed to fit the corner block, and make the most of its situation and position. Upstairs houses the three bedrooms, the master suite with a bathroom and large dressing room. Intimate and luxurious, there is also a cosy family room for the children and parents to gather and watch a film. 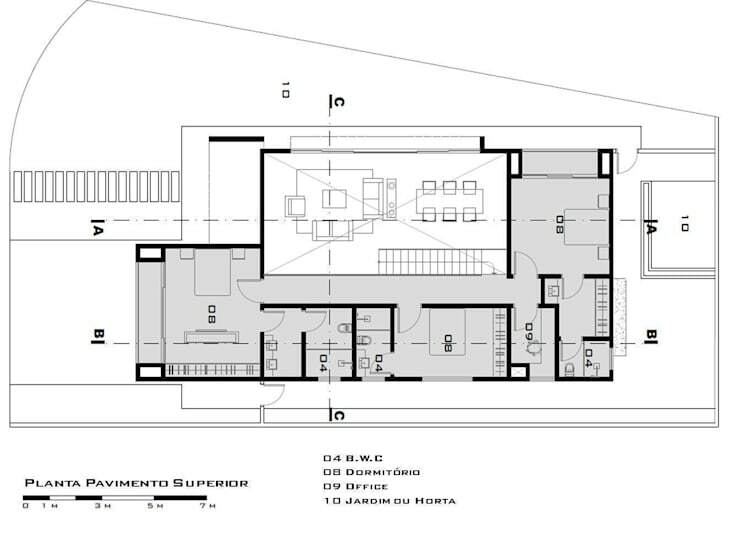 Downstairs includes the garage, entrance, living room, office, bathroom, kitchen and terrace. An outdoor kitchen houses a barbecue, perfect for weekend entertaining! Upstairs the home features three spacious bedrooms, each with its own bathroom. 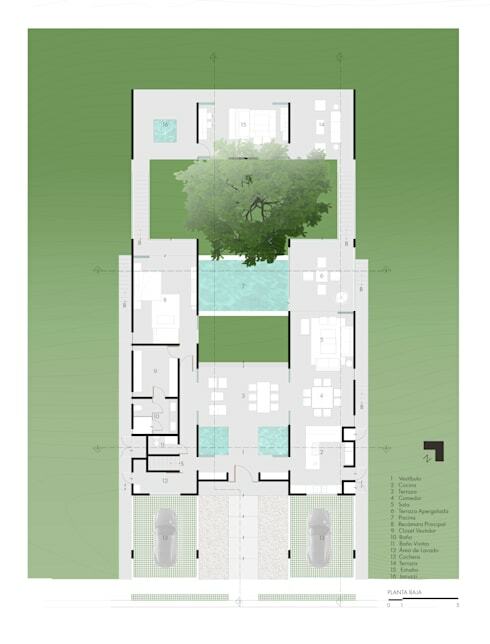 Compact and functional, the design is totally versatile, and idea for family living. 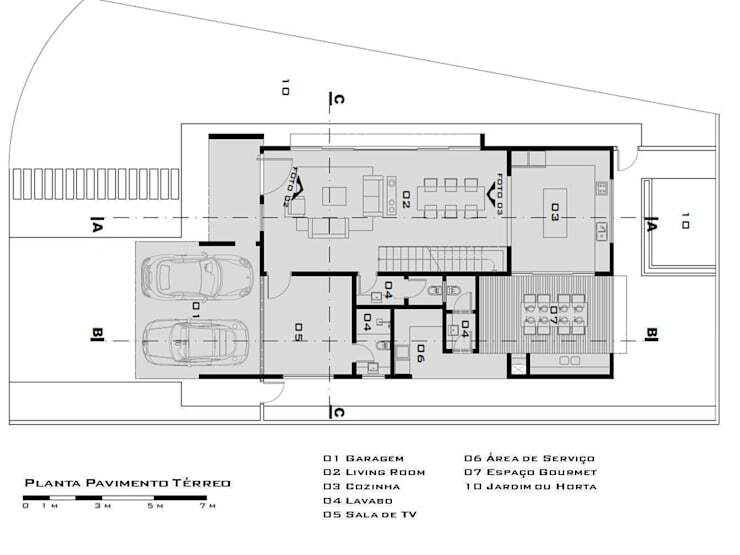 One of my personal favourites, this large home includes two different car parks, each with an overhanging cover to protect the vehicle from any inclement weather. With a huge timber front door, this large dwelling also boasts a huge plot, with a stunning scenic outlook. The kitchen is a real treat, with plenty of seating in front of the cooktop, as well as raised seating at the breakfast bar. 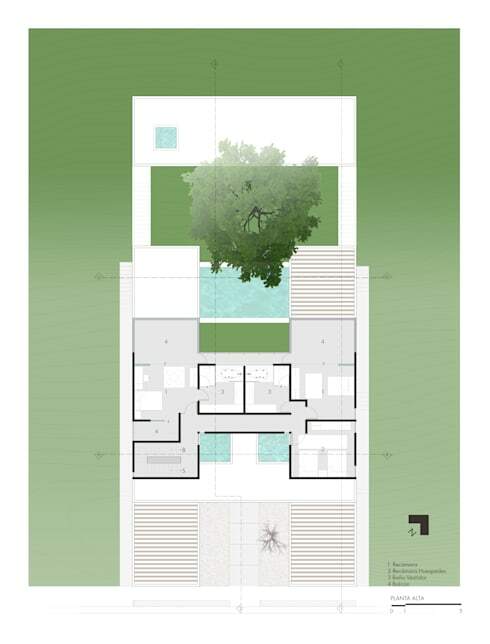 The ground floor of the house boasts different levels and an impressive tree located in the centre of the space, additionally providing shade to the in-ground pool. 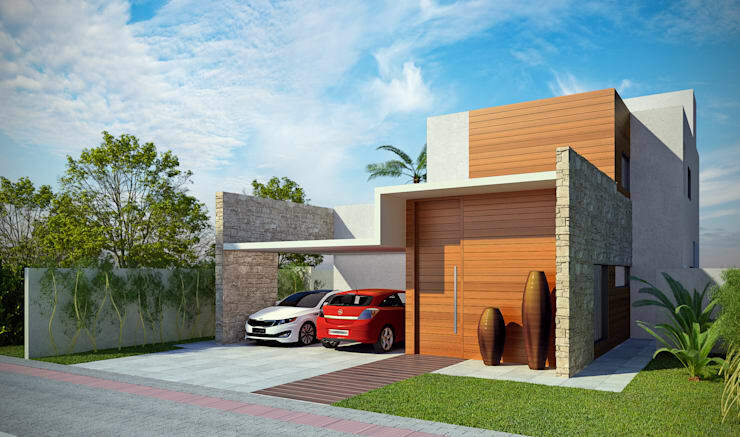 A massive four bedrooms exist in this home, with three upstairs and one large master bedroom downstairs. Next up, we check out a smaller yet no less impressive home. 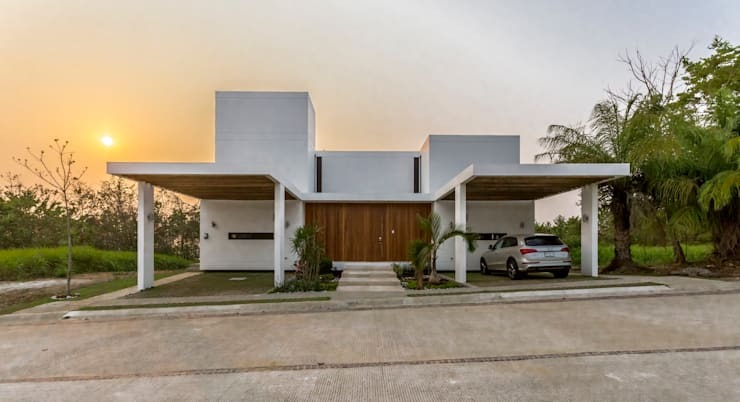 This attractive white cubist residence works with a sense of simplicity to create a beautiful interior that boasts clean architectural lines, and strong geometric forms. 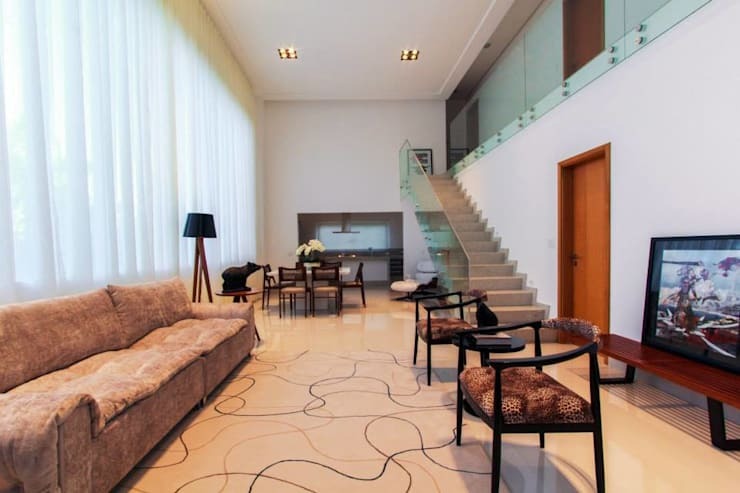 Quickly checking out this gorgeous home shows us the impressive swimming pool, and large terrace, which is perfect for hosting an extravagant party or event. 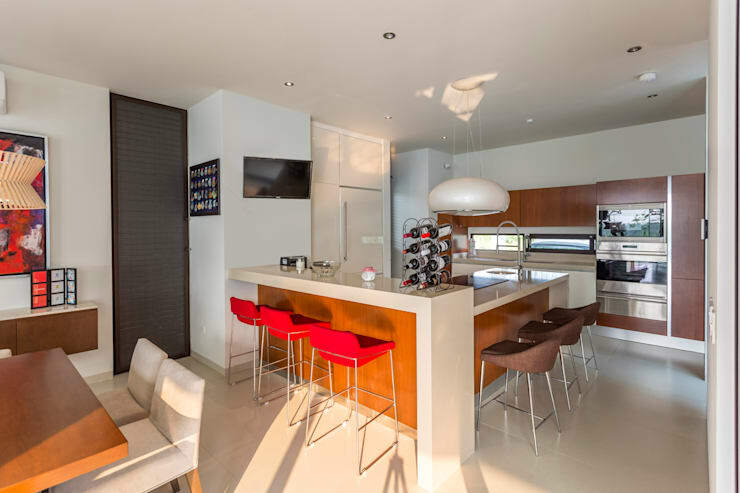 Inside the home, we see the light-filled living room, which is serviced by a range of interior light wells. Contemporary furniture works beautifully, while the bursts of colour add verve and energy to the space. 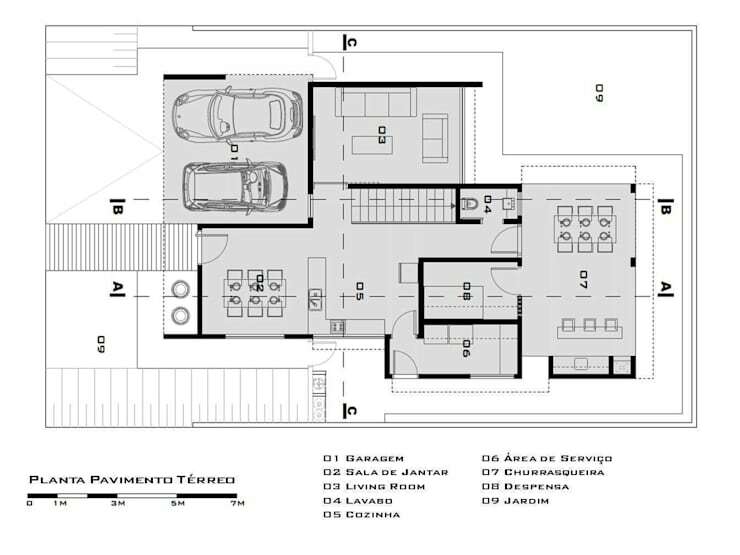 The floor plan shows us exactly where everything is situated in this home, as well as the three bedrooms and the chef’s kitchen. 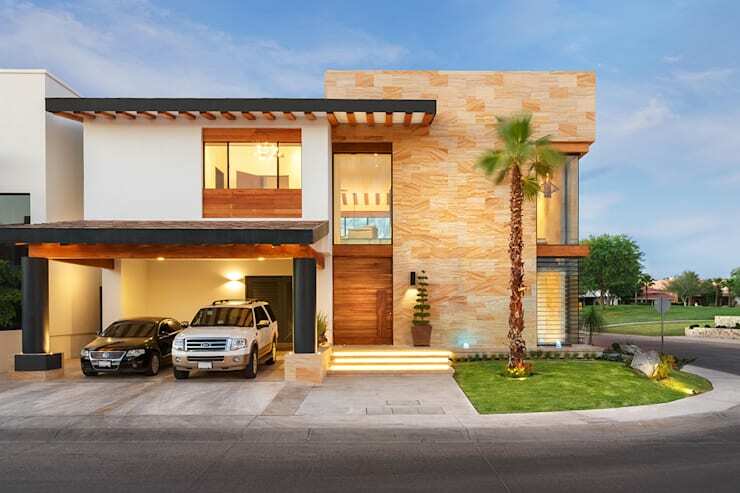 The architects of this two-storey home have utilised a range of textures and tones to bring vivacity and dynamism to the façade of this dwelling. 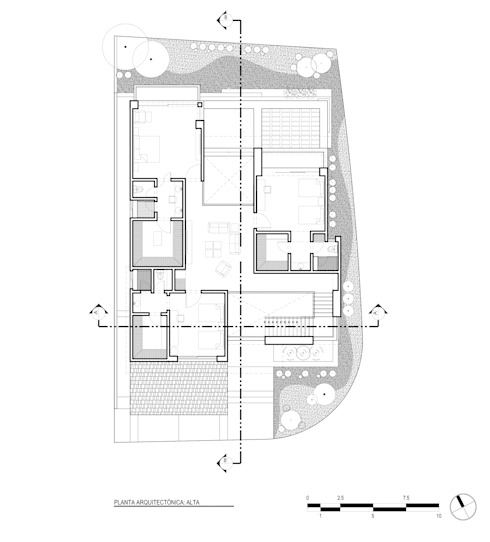 Similar to house number 2, this property houses the garage downstairs as well as the main living spaces. Upstairs we see the three bedrooms, including the master suite with a private terrace, bathroom, and extensive wardrobe space. Would you like to live in any of these homes? Let us know which one below!